This stunning custom handmade dog stair is best suited for pets 5-50 pounds. 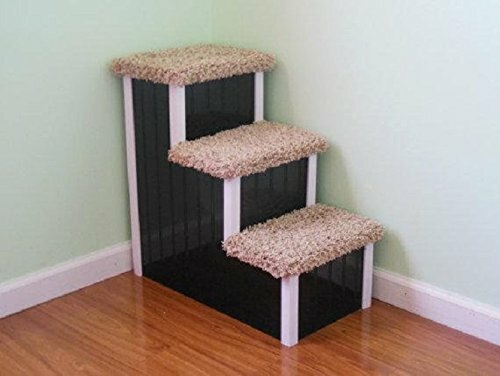 Hampton Bay Pet Steps are handmade in the USA and with be a long lasting piece of dog furniture to protect your pets backs, hips, joint, paws, bones, and more from pain and injury. Please choose base color, trim color, carpet color, and if you would like the custom inlaid paw prints. If you have any questions about this product by Hampton Bay Pet Steps, contact us by completing and submitting the form below. If you are looking for a specif part number, please include it with your message.